I used to teach in the Japanese Public School system. After about 7 or so years of it, I don't want my son to go through it. Too rigid, too focused on content, not enough differentiation, etc. I could go on. I am happy that he will experience international schools, be surrounded by other kids like him from diverse backgrounds, be exposed to a diversity of ways of being, etc. There are great things about Japanese schools that I miss dearly. Things that we can use and adopt and modify. I don't know which of these are cultural (I live in both cultures, so it is hard to separate the two) and which would not work and which would. My class has a lot of energy. Luckily, so do I. It has been my desire from the beginning of the year to use that energy and, I don't know, aim it? I don't want to delimit this energy. It is a resource (I tell myself that on nights when I collapse onto the sofa with exhaustion). Brainstorming is something we need to do. To get better at. It is a skill. One of the main reasons to brainstorm is to get ideas from a diverse set of people, in order to push and challenge your own thinking. In this regards, the group is more intelligent than the individual. I wanted to illustrate this principal, so I came up with this activity to make it visible. Context: We were looking at two pictures, one of a weeping willow and the other of a ginkgo tree in full fall bloom. They were brainstorming descriptive words to describe the physical appearance. We will use these words to analyse a poem and write our own. Here is an excerpt from the class math textbook. I rarely ever open it. Every time I do, I am reminded why. This is what passes as real world examples of finding perimeter, according to Math Expressions published by Houghton Mifflin Harcourt. The context is my biggest complaint in this post, not really the numbers. However, I think that giving kids the numbers from the beginning, without having to work for them, is a poor approach to teaching math. It is separating the calculating form the measuring, when actually these two things go together. Through the process of measuring we discover about the concept of perimeter, area, etc. Separating these things is simplistic and robs students of the usefulness, and beauty of mathematics. The fact that these problems are under the Solve Real World Problems section of the textbook is quite sad. A couple of ideas that I have been turning over in my head collided recently. Not into a neat little package, but rather, into more questions. It started when I got to Germany. My wife and I are not religious people, but we love the architecture of cathedrals, churches, synagogues, mosques, temples, shrines, and other religious institutions. They are so well crafted, with love, and filled with symbolism and a sense of mystery (for us, as outsiders to that world). So, our next UOI is about technology, its impact on the world of work and leisure. 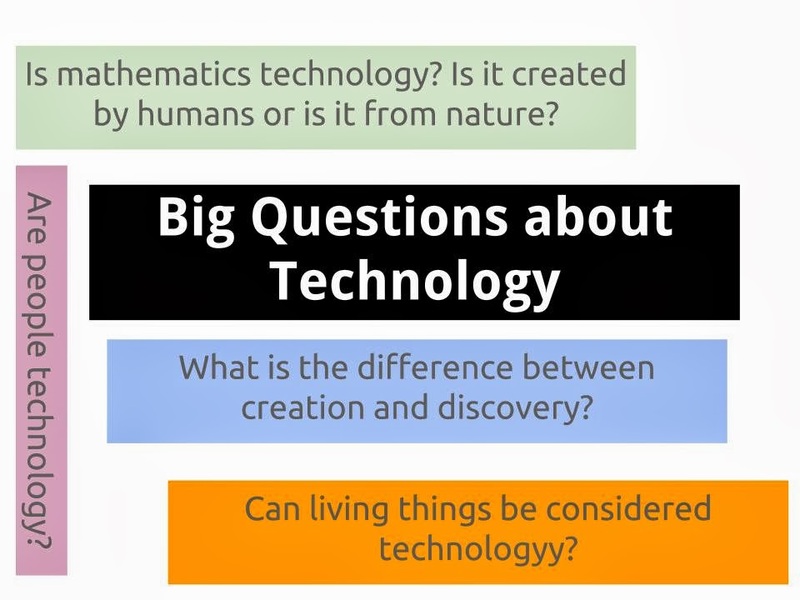 At first I had planned to have each student research and prepare a narrative story about the importance of a technological innovation that they thought was the most important in history. They, we would edit all of them together with pictures into a kind of History Channel Presents type video. That was MY plan. I know the kids in my class, they would have loved it. It would have been a great chance to integrate some tech skills like sound editing and movie editing. We would have had to use to learn CC images and cite our references. The narrative part of the story would have been good work on taking factual events and intertwining them into a narrative. It would have been a great introduction to Historical Fiction. This was a fun little craft activity that had no connection to anything except I thought it would interesting. I was reading a list of formative assessment techniques from David Wees. One of them in particular caught my eye. Write a postcard explaining how you are struggling, or three things you didn't know (could be used to ask anything really). My wife is a post nerd. She loves letters and stamps, and she loves everything postal. 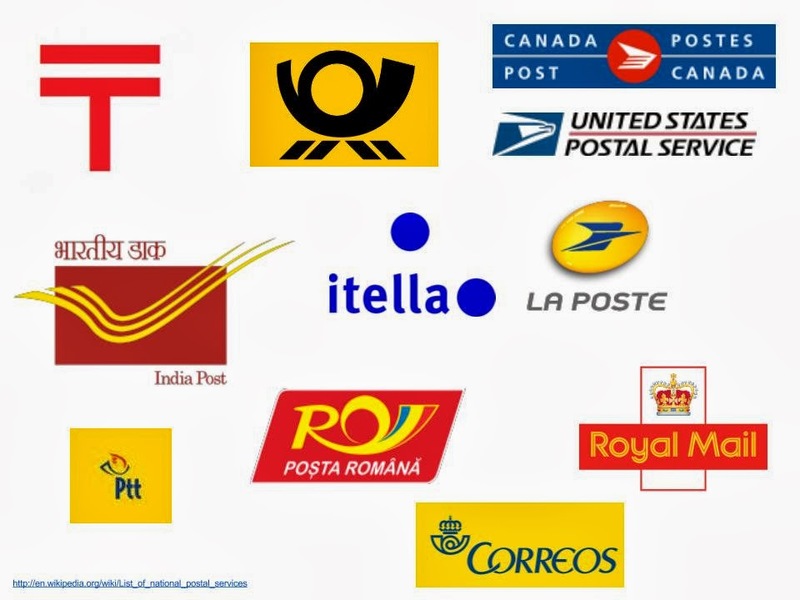 Especially the design, like the logos and the design of the mailboxes in different countries. I had a couple of parents come in and volunteer to make post cards. I designed the cover to be a picture of the famous landmark in the city we live in here in Germany, the school logo, and a place for a stamp. the parents cit them all out and glued them to some card stock to make it hard and durable. I wanted them to feel real, not like some fake little flimsy piece of paper that is pretending to be a postcard. A REAL postcard. One of the PYP Attitudes that is easy to apply to any situation is Enthusiasm. It is kind of the fall back for reflection. Well, the students were engaged, and they had fun, so they must have been showing Enthusiasm. It is easy to notice, and easy to bring forth with a little creativity. For the most part, in my experience, getting primary school students engaged and Enthusiastic has never been a problem. Like I said, it is the easy PYP attitude to apply to any situation, and I rarely gave it any critical thought. I find goals to be limiting. When I focus on one piece of the puzzle, I miss parts of the whole. True, it is possible to focus on pieces and still be reflective about the whole. That works for some people. Not for me. That is the thing about goals. They are incredibly personal things. A goal is meant to be something that you achieve, that makes you a better person. How we achieve those things, how we grow as individuals, is dependent on our own personal philosophies of life.